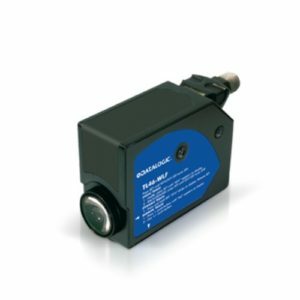 The slot photoelectric sensors of the SR21 series, with 2mm slot width, are characterized by a high 12 bit (4096 steps) resolution, a low 20µs response time and a switching frequency reaching 25kHz. The setting of the switching threshold is carried-out automatically by simply pressing a push-button, or dynamically during label (or other reference) movement. The SR21-IR model with infrared emission is ideal for label or hole detection on continuous surfaces, while the SR21-RG model with double red or green emission suits color print register mark detection on transparent films for automatic packaging. SRX3 is the new ultrasonic fork sensor for a wide range of applications that demand reliable label detection for challenging applications. 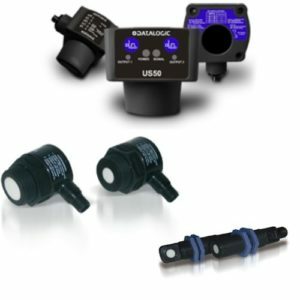 The forked ultrasonic sensor performs label detection based on the difference of material width inside the sensible area. The sensor can reliably detect paper, plastic, transparent and metallic labels on paper, plastic and metallic bearer tapes. 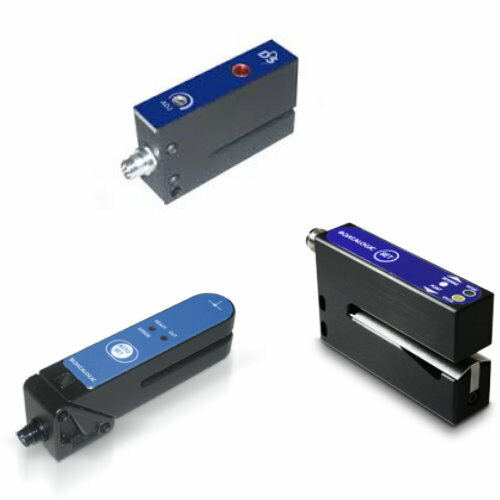 The SRX3 can detect a gap of 2mm for label widths of 2mm at a speed of 60m/min. The ultrasonic technology enables allows for the detection of transparent labels on transparent roll supports, difficult achieve with optical operated sensors.